*I wrote this as a response to the video and as a response to commenters saying anyone who doesn’t want to meet with President Trump is turning down an opportunity to “start a dialogue”. There’s a right way to do things. Any organizer, activist, business person etc has to layout conditions and achievable goals (both short term and long term) before agreeing to a meeting with anyone. We’re weeks away from the midterm elections so there’s a lot of value for Trump being seen in a meeting with Kaepernick and Kanye. It could give him and his party a chance to increase their share of the black vote. Kaepernick has to come away from the meeting with something that equals that. 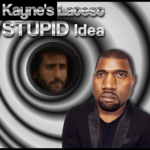 Ebro gets accused of shutting down dialogue for not wanting Kaepernick to have a meeting with Trump (arranged by Kanye). You also have to look at the history of the individual you’re contemplating meeting and gauge their seriousness. These are measures that must be considered to make sure you’re not being used and to make sure a meeting is a good use of your time. All of this talk about opening a dialogue or not shutting down dialogue isn’t a relevant critique in the situation Ebro laid out in the video above. Agreeing to a meeting at the White House with Trump without a stated specific goal laid out and agreed to in advance is really just a photo op. 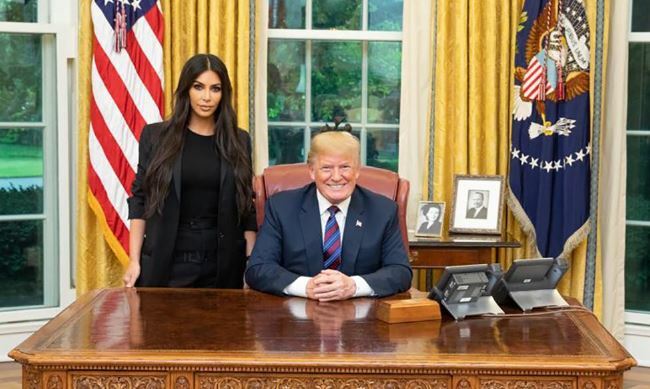 When Kanye’s wife Kim Kardashian went to the White House she had a specific goal in mind. Her visit was planned weeks before it happened. Kim made sure Trump was open to the possibility of issuing a pardon for the woman she was trying to get out of prison. Days before the meeting the White House press secretary commented publicly about the jailed woman’s story as a way to show they were taking Kim’s visit and cause seriously. That is how these things work. Until Trump shows signs that he’s open to hearing about Kaepernick’s cause and make a public statement about police brutality and inequality in our justice system, a white house meeting would be a waste of time and will only benefit one side. A discussion about “opening a dialogue” is a classic bait and switch move that politicians use all the time when they want the appearance of action without having to do anything. Thank god Kaepernick is smart enough not to fall for it and I wish Kanye had more clarity on it.